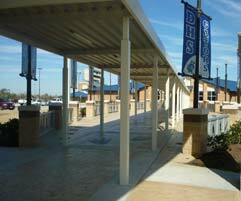 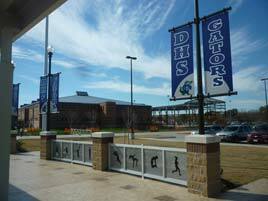 An impressive addition was recently made to the campus at Dickinson High School in Dickinson, Texas. 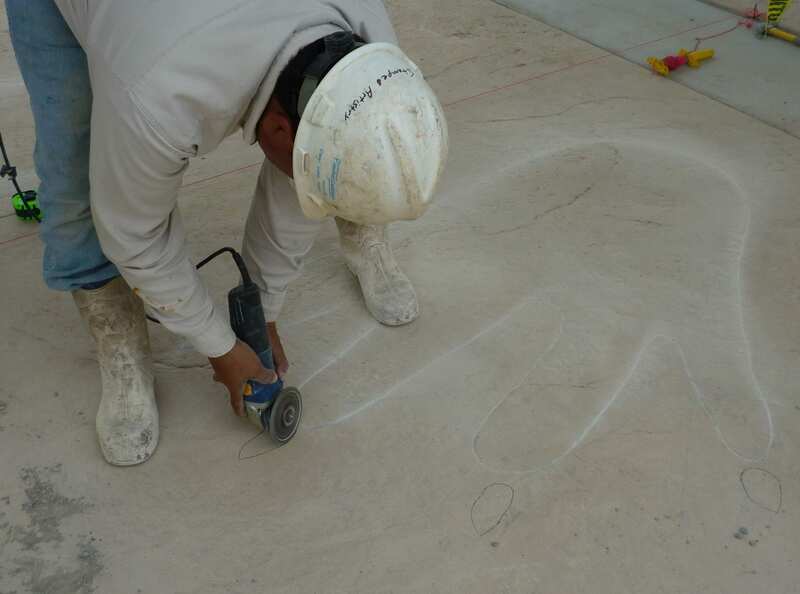 Requested for the finishing work for the approximately 12,000 square foot custom concrete portion of the project, was the team at Stamped Artistry, of Pasadena, Texas. 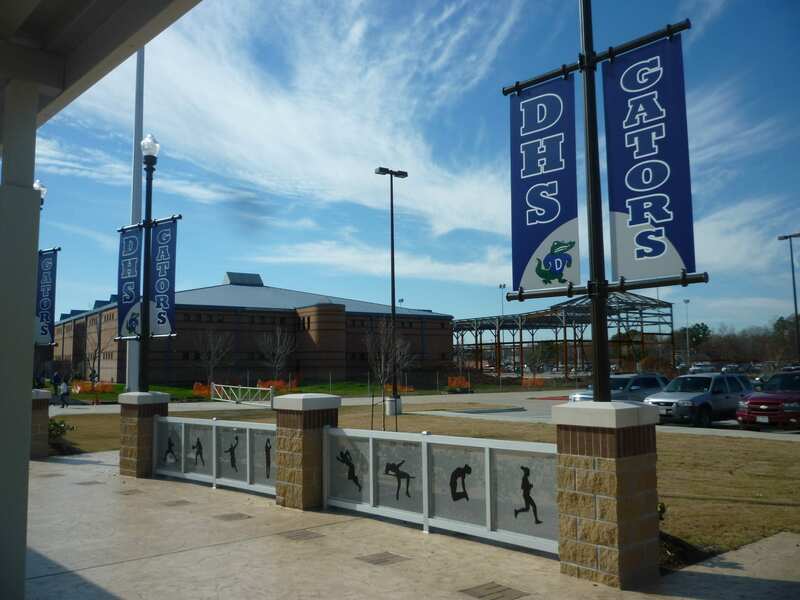 The school wanted a “Sports Walk of Fame” featuring 28 eye-catching gator paw prints leading to the training facility and stadium. The three week project began with the pouring and stamping gator paws stamped concrete. 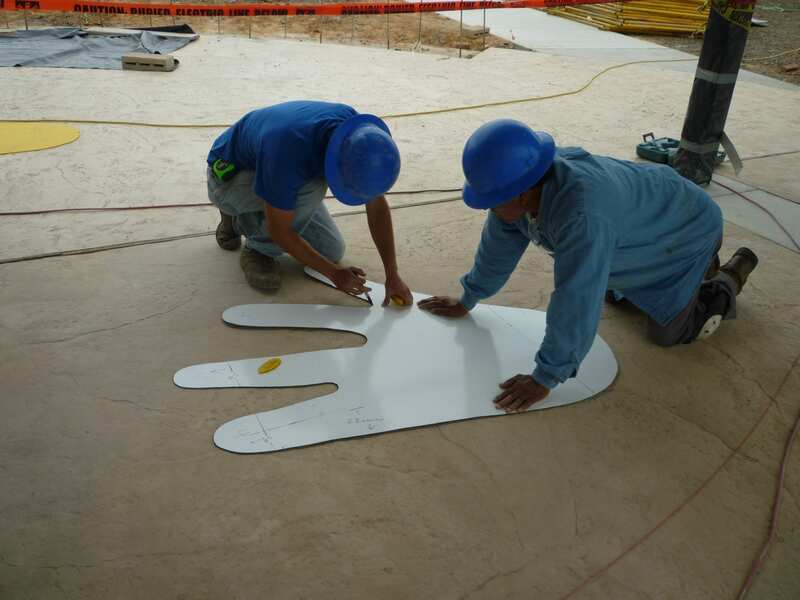 Robert chose to use a variety of SureCrete products for this project. 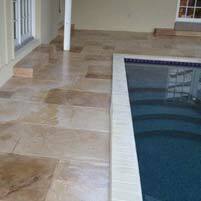 Color Hardener in Almond provided a base color for the slab. 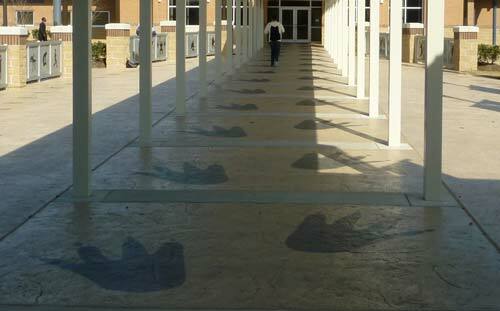 The stamping was done using Powder Release in Walnut – this broadcast product allows for an unproblematic release for the stamp along with the added benefit of an additional accent color. Each gator paw print was individually scored and stained during the last week of work. Concrete penetrating, acid free Eco-Stain in Domino was applied to all prints. 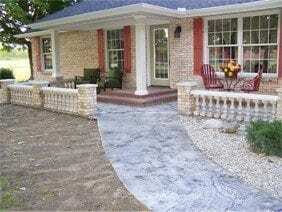 (Once the desired depth of color is acquired, there are no added steps after application. 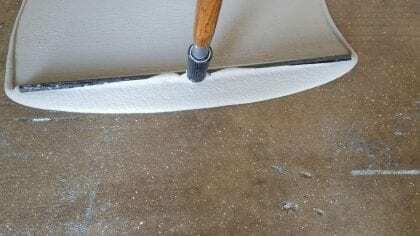 Including NO water waste to neutralize.) 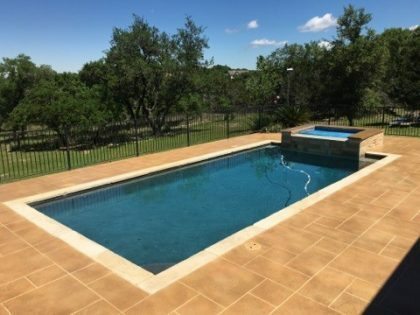 The project was sealed with Sure Seal Super 30 Acrylic Concrete Sealer, chosen for its stain resistance, UV protection, and abrasion resistance. With safety in mind, Stamped Artistry recommended Sure Grip, a granular sealer additive, which was added to the Super 30 to create additional slip resistance to the themed stamped concrete surface.